In a completely un-scientific pole, I asked people how many s’mores they ate per year. 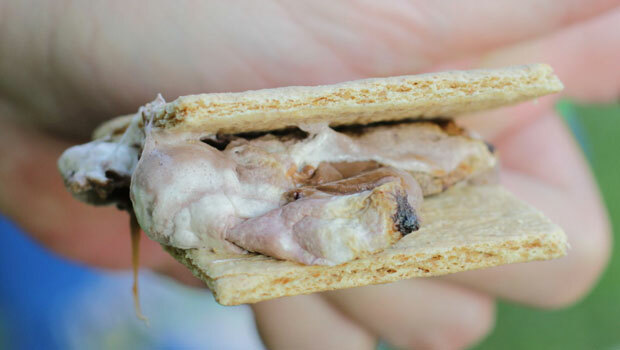 It’s time to think outside of the box a little when it comes to s’mores recipes, so I present the first in a series of “Ultimate S’MORES” recipes designed to inspire an above average s’mores eating experience. Just like anything in life, there’s room for improvement and growth. I introduce to you, the Chocolate Rolo S’MORES. For this recipe, I decided to step outside the white puffy marshmallow world. My local grocery stocks a chocolate/vanilla swirled marshmallow – they’re definitely worth seeking out, especially if the chocolate is your favorite of ingredients. 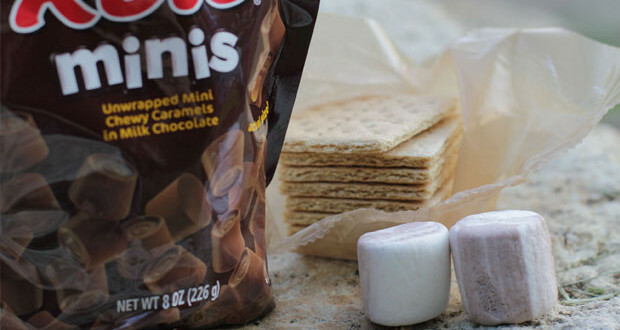 You’re also going to need Rolo “minis.” Not only do they fit perfectly inside of a marshmallow, but they’re also completely unwrapped and campsite ready. Lastly, graham crackers. I’m sure eventually I’ll become more picky, but for the sake of this experiment – whatever you’ve got will work. With a small amount of pressure, push a single Rolo into the center of your marshmallow – using the flat side as the entry point. Once you’ve got your chocolate inside of your marshmallow – you’ll need to get it onto the stick. 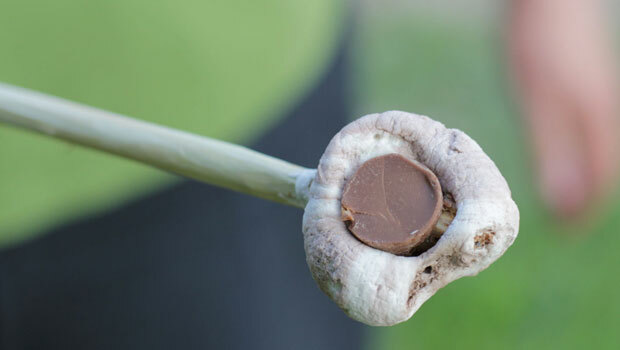 I learned that by inserting the stick through the round side of the marshmallow, and directly through the chocolate center – you can optimize your marshmallow to caramel/chocolate ratio. Next, roast the marshmallow over your fire. The chocolate will begin to melt a little in the center of the marshmallow. When your marshmallow has reached optimum roasting, sandwich between 2 graham crackers. I found that by ‘squeezing’ the marshmallow a bit between the crackers, I could make the caramel and chocolate ‘ooze’ a bit. I highly suggest chocolate Rolo S’mores if you’re camping with kids. This makes the perfect campfire dessert, and will surely become a favorite in your camp. If you’ve got a s’mores Recipe to share, please leave a comment below – I’d love to hear about it!